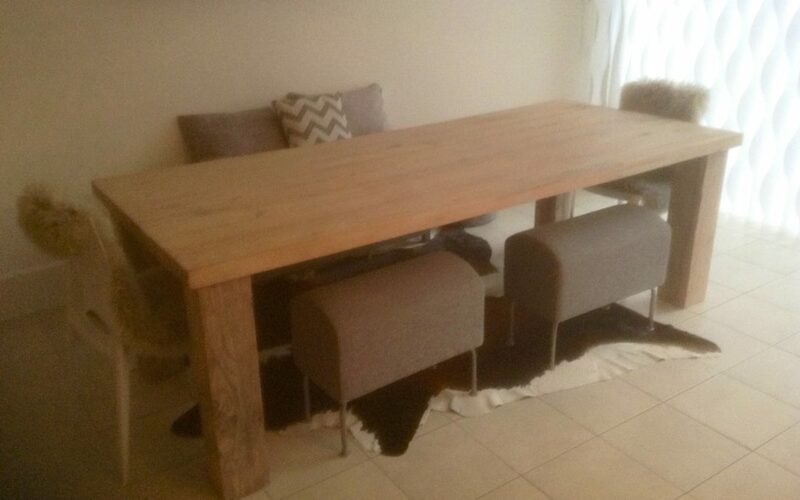 Farmhouse dining tables, a very simple design but amazingly practical, a table designed to be used as an everyday piece. The market has been flooded with pine farmhouse dining tables. 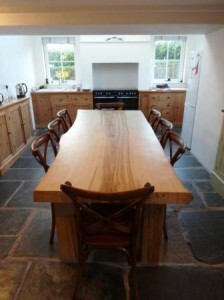 We can supply single slab English hardwood tables, in oak, sweet chestnut and ash, Combined with very simple square legs, these hardwood tops are very durable and pratical. These tables are not only beautiful, but can also be a talking point at any dinner party. 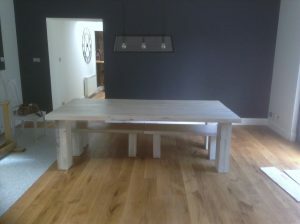 If you are interested in farmhouse dining tables please contact us. A farmhouse kitchen is an architectural term for a kitchen room designed for food preparation, dining and a sociable space. Typical of poorer farmhouses throughout the Middle Ages where rooms were limited,wealthier households would separate the smoke of the kitchen from the dining and entertaining areas. Farmhouse kitchens were also known as smoke kitchens before Extractor hoods. Extractor hoods and modern stoves have allowed the reintroduction of farmhouse kitchen to architecture,it is now the most popular kitchen design with various island set ups used for dining and storage. Household kitchen design often assumes that the functionality of the room includes cooking, dining and socialising but the term ‘kitchen’ includes rooms dedicated to cooking.